Represent Wonder Woman everywhere you go! The Wonder Woman Logo Gem Gold Plated Dangle Earrings features the classic symbol for DC Comics' Wonder Woman that everyone is sure to recognize. 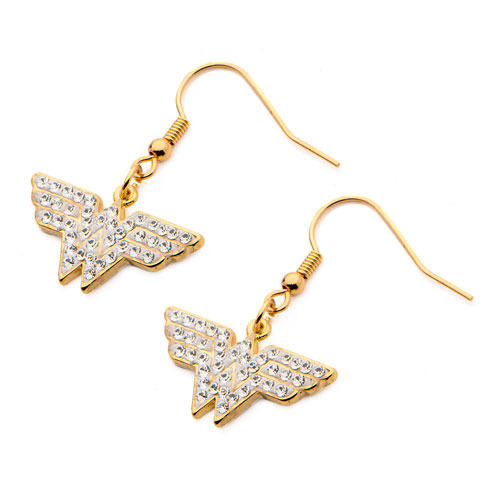 The Wonder Woman Logo Gem Gold Plated Dangle Earrings have clear gems on a gold colored background. Perfect for DC Comics' Wonder Woman fans! Ages 13 and up.